Without saying the word you can talk thousand words. Isn’t it true? Eyes can express our feelings so immensely and properly without saying a word. It is therefore very important for us to take proper care of our eyes and keep it healthy. In this article I have discussed in detail how to keep it healthy. Today, I have compiled below the important and easy ways to follow to keep our eyes attractive and beautiful. 1)Moisturize: Skin under the eyes is the thinnest skin part on the face. Hence it is all the more important to be careful with skin around the eyes. In order to delay the aging effects and wrinkles it is essential to moisturize with the eye cream on the daily basis. 2)Concealer: Dark circles are the woes of most of the middle aged women and concealer’s are the best friend. Make use of concealer in order to hide all the minus around the area. 3)Eyebrows: Keep your eyebrows mess free. Be regular in cleaning up the extra hair around eyebrow area. Do it waxed at palour or pluck them yourself but be regular. 4)Eye liner: Proper use of eyeliner can create the artificial effect and can make small eyes look bigger and vice versa. If you have small eyes, try putting the double coat of eye liner (thick line of eye liner) on the top lash line. This will make your eyes look bigger. 5)Eyelashes: Eyelashes with little curls in it looks beautiful. So in case you do not have the natural curl, try giving it one by with an eyelash curler or using mascara. You can also use the hands to curl your eyelashes in case curler or mascara is not available. To curl your eye lashes with your hand, rub your hands together. 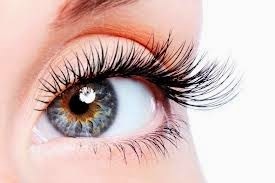 As soon as they are warm enough put it on your eye lashes in the upward position till it cools down. Repeat it till you get the desired curled eye lashes. You can also make use of falsies to give it great look if your eye lashes are light. 6)Eye Shadow: Playing with eye colors is fun and exciting always. Be bold to use the new and dark colors to give the refreshing look. However be careful to use the colors that complement your face. Contrast eye shadow color with the color of your eye balls look smart and welcoming. 7)Kajal: Experiment with colors on your water line with different colors again. Make use of white pencil to give the bigger look for small eyes. Black is the safest color among all. 8)Beautiful Big Eyes: Create an illusion to make your eyes look bigger. The key here is to use light shadow on the lid and brow bone, and medium shadow in the crease of the eye. Then lining the upper lash line with black or brown eye liner, putting some shimmer shadow in the inner corners of the eyes, and using a white pencil in the inner bottom rim. 9)Do not over do: Eyes are sensitive. So overdoing with makeup is strictly no-no. Also it is important when not required avoid make up and go with the natural look. Clear the entire make up around the eyes immediately after the party if possible or for sure before hitting the bed. 10)Basics are the key: Yes, no matter how much beauty products you use, it would hardly make the difference if your inner health of eyes is not supportive. Healthy diet, Exercise and beauty sleep is the key for beautiful eyes. There is no alternative to these things. We hope you find these useful. Keep smiling and be happy.